Whether you are a journalist who wants to keep their identity hidden, or starting out a new business that requires a local network for secure and convenient data sharing, having a personalized ExpressVPN router can come in great handy. It offers a more secure, robust, and consistent internet experience, while also working in favor of keeping your family secure if they engage in P2P/Torrenting, or simply want their information safe from identity thieves, malware, and viruses. This guide provides all the info you need on the provider’s router. For a more comprehensive analysis, check out this ExpressVPN Review! If you have any basic knowledge about the internet, you may know that local ISPs install Wi-Fi routers in your home, which forwards data-packets between them and computer networks – hence providing you access to the World Wide Web, while monitoring all activity. Most of these standard Wi-Fi routers have configuration features, which support VPN-pass through functionality. 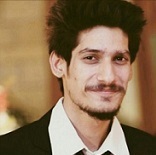 The user manually logs in using software installed on the remote device, which passes your connection through the router and the Best VPN server you added. Conversely, built-in VPN routers are a more advanced version of the standard Wi-Fi, which enables users to leverage strong connections at a hardware level. This eliminates the need for individual software installations, as the software is already pre-loaded with an intuitive app. You can configure the app at any time, changing ports, protocols, and encryption. 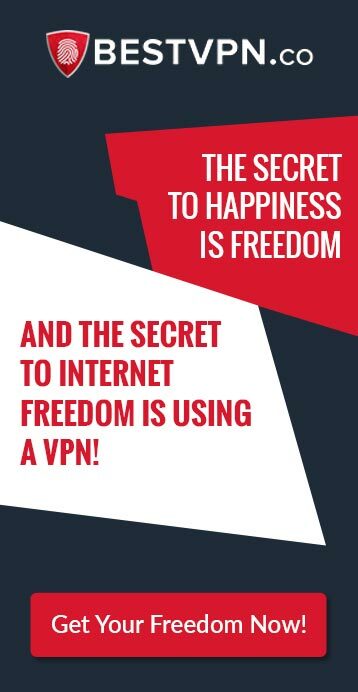 The router also grants simultaneous access to the VPN service across all devices in one go, be it your computer, tablet, smartphone, or Smart TV, guaranteeing maximum anonymity! Most people do not realize the benefits of investing in a Cheap VPN router till they get one and experience the cost-savings, ease-of-use, reliability, and security! Below we highlight a few important reasons that might just convince you into getting a VPN router (particularly for those creating their own small business setup). Creates a timesaving business process for your partners, employees, customers! If watching pirated movies or download files via P2P/Torrenting is a common thing in your household, then you may constantly be worrisome about your digital privacy. After all, even if one device gets caught streaming or downloading pirated content, you have to pay hefty DMCA fines. 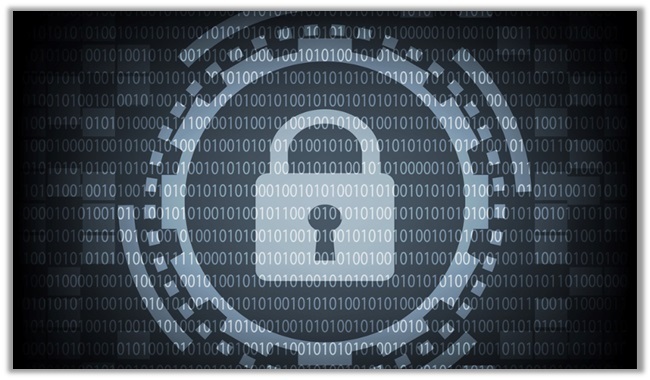 To avoid this, users opt for setting up a VPN router with a dedicated IP address. Some providers do offer their own customized routers like ExpressVPN. Now, you can choose to manually configure your own router, or buy one from the Router Experts at FlashRouters. For those who opt for the more tech-savvy way, you will have to first Flash your current router to get rid of old Firmware, and then install the new one. 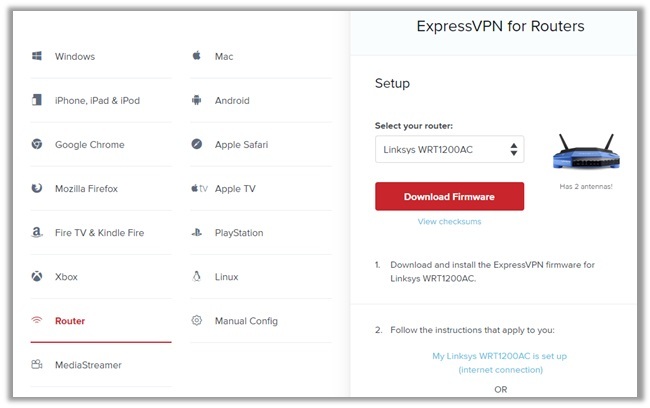 This process involves signing into your ExpressVPN account, clicking on “Set Up ExpressVPN”, and then selecting your model router to download the firmware. After rebooting/flashing your router, you will have to install the ExpressVPN firmware downloaded earlier. Based on the model you use, the process will vary accordingly. Some routers can load new firmware, while others require a more detailed process. Once done, you will gain access ExpressVPN’s router menu. 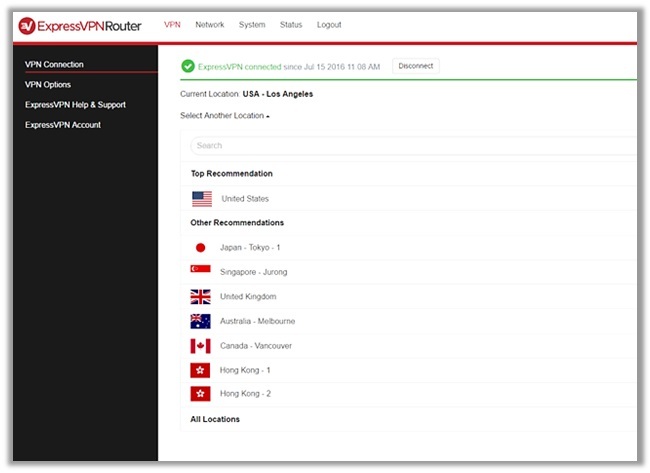 This is what the ExpressVPN router app menu looks like, where you can even choose the devices that should be protected by configuration VPN Options in the left side-bar. Scroll down to Recently Connected Devices and toggle protection ON or OFF. When it comes to offering router support to customers, ExpressVPN definitely goes the extra mile. The provider does give custom ExpressVPN apps for Asus RT-AC56(U/R/S), Asus RT-AC68U, and Asus RT-AC87U. For manual configurations of other Asus routers, you can check out this guide from ExpressVPN. How Do I Update My ExpressVPN router? The updating process does not require any rocket science. 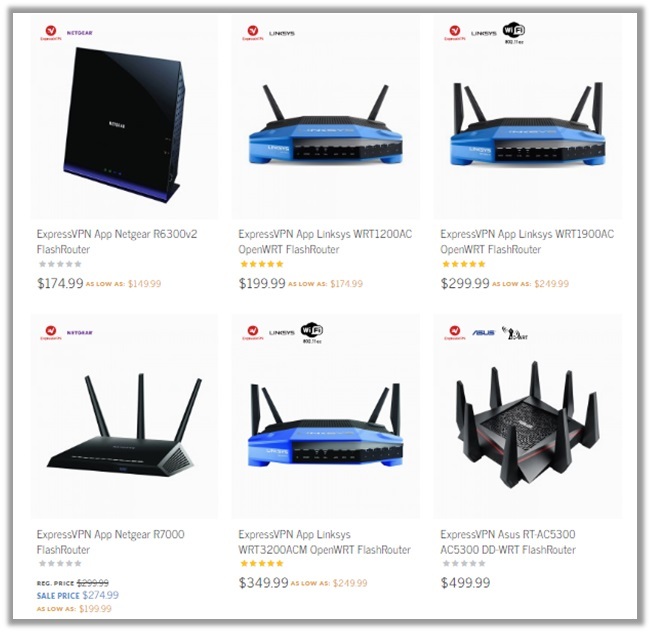 Users just have to visit https://www.expressvpn.com/latest#router and select their desired model. Once done, click on the “Download Firmware” button and follow the setup instructions to complete the update. Almost all DD-WRT routers support VPN configuration and setup. For more specific information regarding different router models, you can check out Flash Routers. Here you can find details on the best Wi-Fi VPN routers, while receiving tech support and troubleshooting too! With this, we come to an end of the ExpressVPN Router guide, which should help users setup a VPN on their router manually or directly from the provider. If you encounter any issues/problems, don’t hesitate on dropping a comment below. Also, feel free to share the guide with your friends/family members, looking for a permanent solution to leverage complete anonymity online!